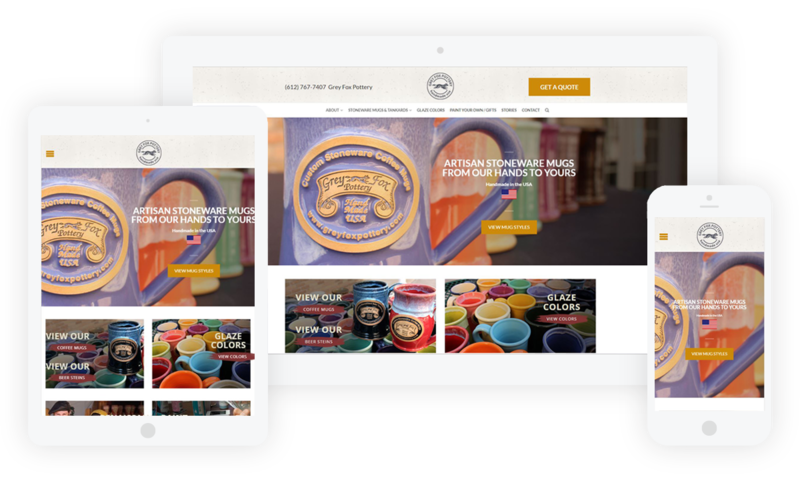 Located in a thriving arts district in Minneapolis, MN Grey Fox Pottery is small enough to offer unique, custom mugs to mom-and-pop coffee shops and local brewpubs, yet large enough to fill the high demand needs of popular renaissance festivals and bustling tourist attractions. Grey Fox Pottery was in need of a redesign when they reached out to me. The redesign I created involved custom aesthetics and functionality, including the integration of ecommerce elements.